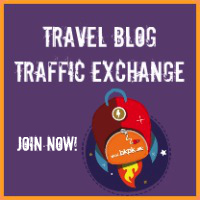 Exploring Budapest: bike rides, thermal baths and the real goulash! If there is one thing we love it’s last minute trips and one way tickets. OK, that’s two things! I guess what we really like is to be able to be spontaneous and make the most of the moment, embracing pretty epic experiences, as well as enjoying the little things. We were recently in Lisbon and Ashray got his nose broken on the basketball court. After the guy who unintentionally smashed part of his face said “dude, you gotta be careful.. I play strong defense!” and the city started getting even more crowded with tourists, we thought it was a great time for a change of scenery. Ashray found an excellent last minute deal for a one way flight to Budapest before lunch and, a few hours later, with our stomachs full of Arroz de Marisco, off we were on the way to Hungary! Even though Budapest is known for its history and grandeur, lately Hungary hasn’t been in the news for the most endearing of reasons. Still, we thought we’d enjoy a few days soaking in the city life, before making a move onwards to India. So, what does one exactly get to see and do over the course of four days in a new city? Actually, plenty! 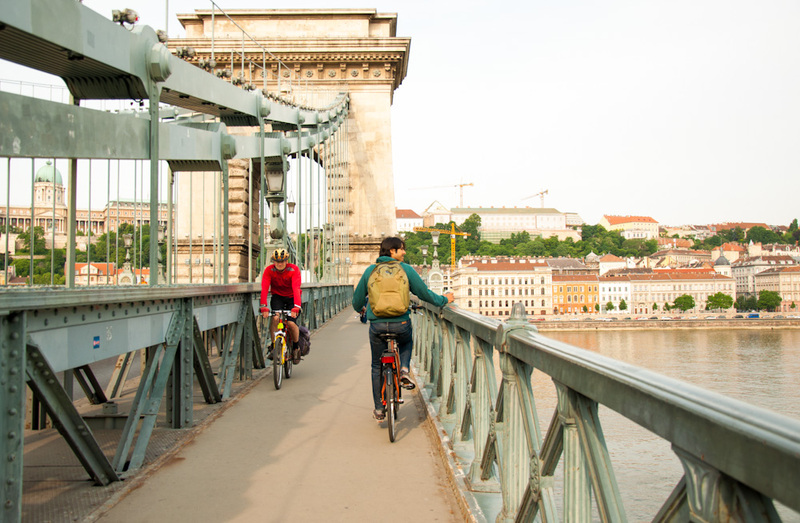 We decided to explore Budapest by bike, to be able to get anywhere we wanted to at any time of the day or night, without spending way too much money. Budapest is composed of the former cities of Buda and Pest, divided by the Danube river. The side of Buda, where many of the historical landmarks of the city are, is hilly and best explored on foot. But the side of Pest, where the real city is, and where the vast majority of people stay, is wonderfully flat, making it a joy to ride along. In fact, taking a bike in Budapest is not a touristy thing. A lot of locals use bikes to get around, bypassing the traffic and embracing a decidedly more eco-friendly means of transportation. We rented a couple of bikes from Donkey Republic, which were available in different outdoor spots around downtown. Using their app, we didn’t have to worry about returning them on time to any given shop. 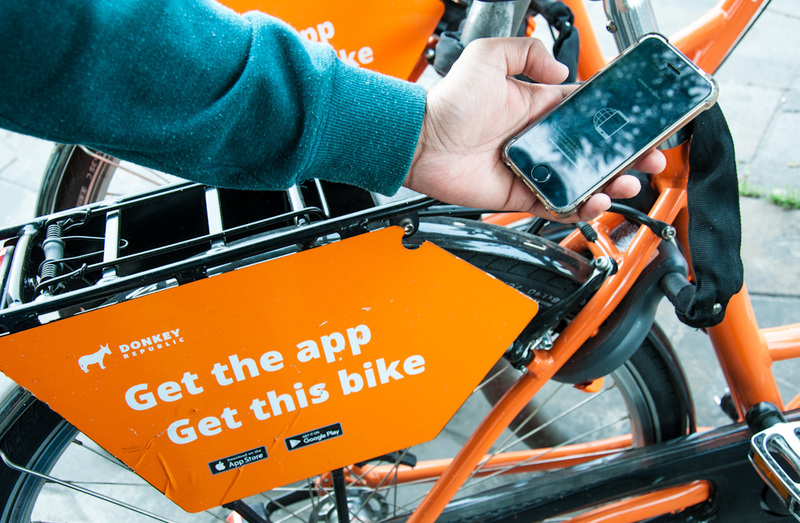 We unlocked the well maintained bikes using our phone, set in the app for how long we wanted them (there’s always the possibility of extending!) and paid everything online. No hassles, total freedom. Whenever we have eaten Goulash outside of Hungary, the dish consisted in a thick stew, with chunks of tender meat and vegetables, seasoned with heaps of paprika. The sides could be rice or, in some parts of Central and Eastern Europe, dumplings. 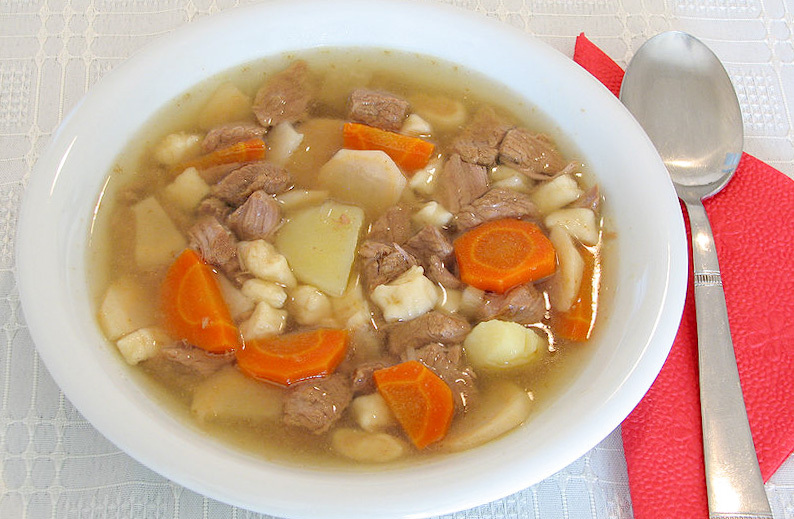 In Hungary, we came to understand that Goulash is actually a much thiner soup, using similar ingredients cut in small pieces, but with much more broth, which you’d normally soak up with bread. What we thought was Goulash is what in Hungary is actually called Pörkölt. So there’s no way Hungarians will be pouring their beloved Gulyás on top of rice of even pasta anytime soon! … and this is what Hungarian Goulash is actually like! 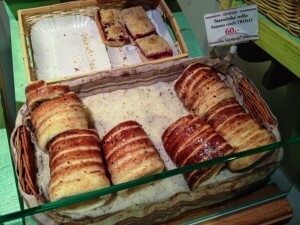 Hungarian food is comforting and fulfilling, but it can get pretty heavy. Specially when you decide to snack on Kürtőskalács in between meals, like some of us… Between bike rides, local meals and the rising temperatures, one of our days in Budapest was mostly spent trying to relax and rejuvenate. 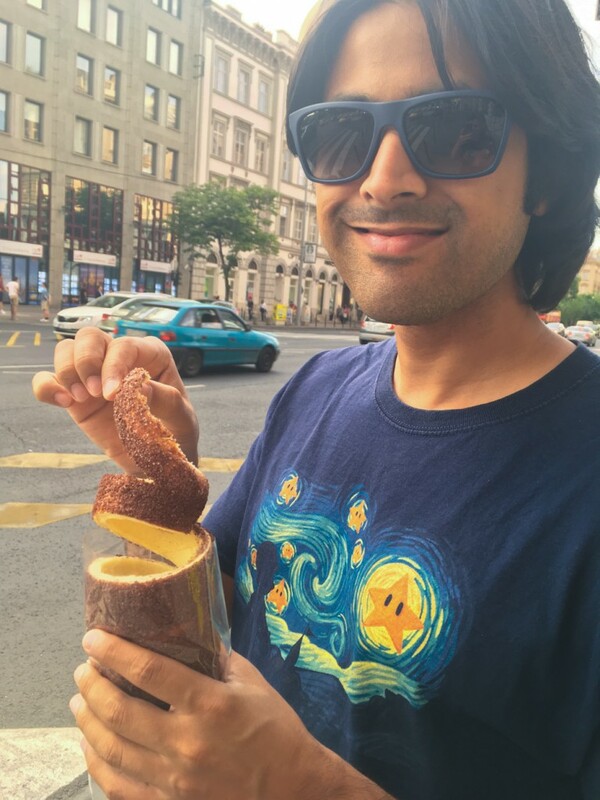 Enjoying a fresh Kürtőskalács. This delicious "chimney cake" is cooked on a spit over charcoal, and you get to choose your toppings. Our favorites: cinnamon and cocoa! Budapest is famous of its thermal baths, that remind us of the time when Ottomans were in the region. We never indulged in a Turkish bath while in Istanbul, but in Budapest we didn’t let go of the opportunity! We headed straight to Gellért Baths, which are almost 100 years old. After dipping ourselves in steamy pools of various temperatures regulated by nature herself, we might have not looked 100 years younger, but we sure felt relaxed and recharged to explore some more! Roaming around Budapest’s city center can be quite entertaining. The city itself is beautiful, specially at night, as it is perfectly lit with yellow shades that highlight the architecture from times gone by. Walking by the Danube, you get to enjoy views of the many bridges, the Parliament, Fishermen’s Bastion, the Royal Castle and more. As all the grand buildings are so concentrated, at times, it felt like Budapest was even a little more Paris than Paris! 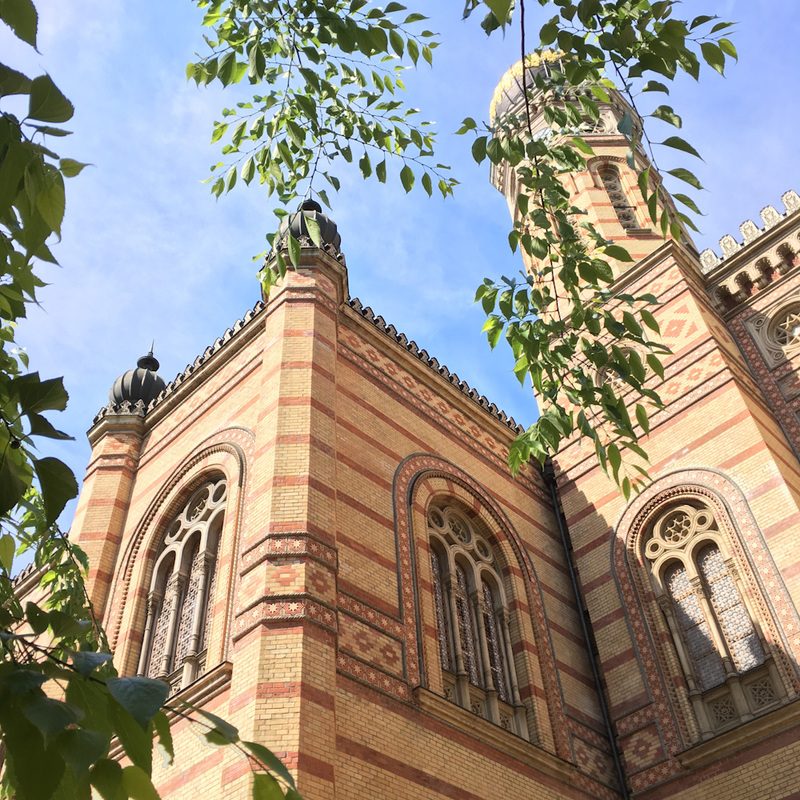 Going inland on the Pest side, exploring the Jewish Quarter will give you an insight on the Jewish history and heritage in Budapest. This is also the place to go to if you want to eat Kosher food! Even though Budapest is a city with a very old history, and the constructions sure give you a sense of that, it is also a place that feels very new. The number of young folks out and about in Budapest feels remarkable for Europe! At some point, sitting in a central park sipping drinks and watching the sun go down, you wonder: how are there so many people.. doesn’t anybody work? Hungarians are known to party quite hard! 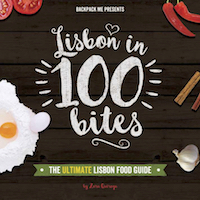 In Budapest they have a concept that I am positive would work very well in Lisbon too: the ruin pubs. 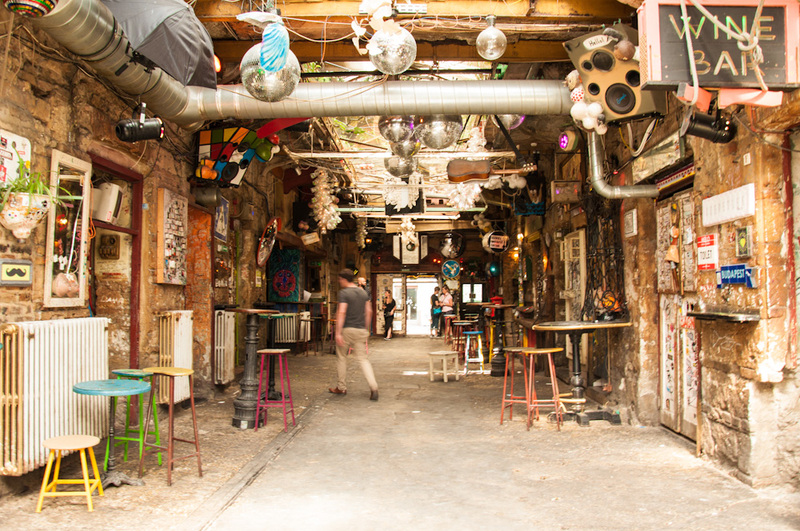 Housed in old buildings, these bars looks quirky because they are… well, quite destroyed! Drinks are reasonably priced, everyone has a good time, and the management doesn’t need to spend too much on a venue. Win-win! Jokes aside, we did feel like Budapest was young and dynamic. Lots of late-night joints, international food, a great cafe scene… not much diversity of people, true, but I guess you can’t have it all! One day we’ll go back to Hungary to explore beyond the capital. This trip was more like an appetizer, let’s say like a real Goulash soup, but our appetite is still open for a main course of Hungary one day soon! 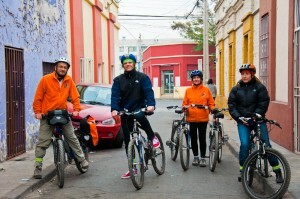 We have a feeling that you are also keen to explore a new city by bike, aren’t you? 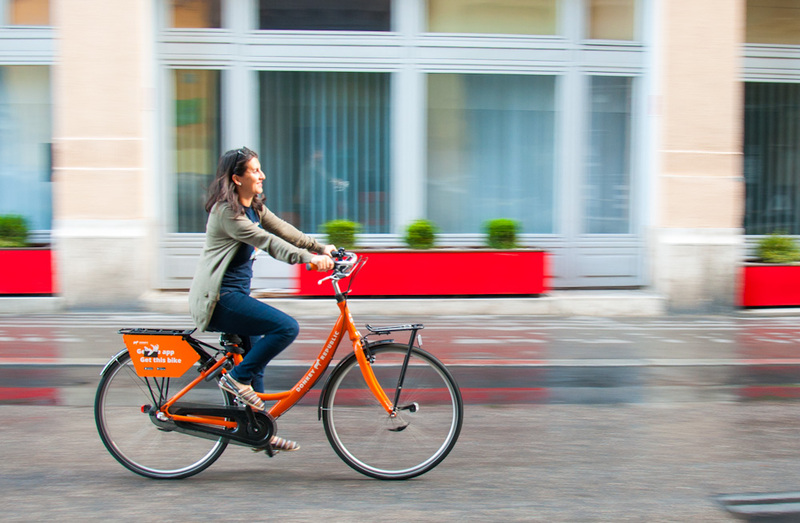 We’re giving away 3 free Donkey Republic bike rentals for 2 people for 1 day, valid in Budapest or any of these cities! To enter the giveaway, simply tell us what city you want to ride around and why. We will select 3 winners doing a draw on the 5th of July. Good luck! TRDLO - I can't pronounce it, but I can eat it! 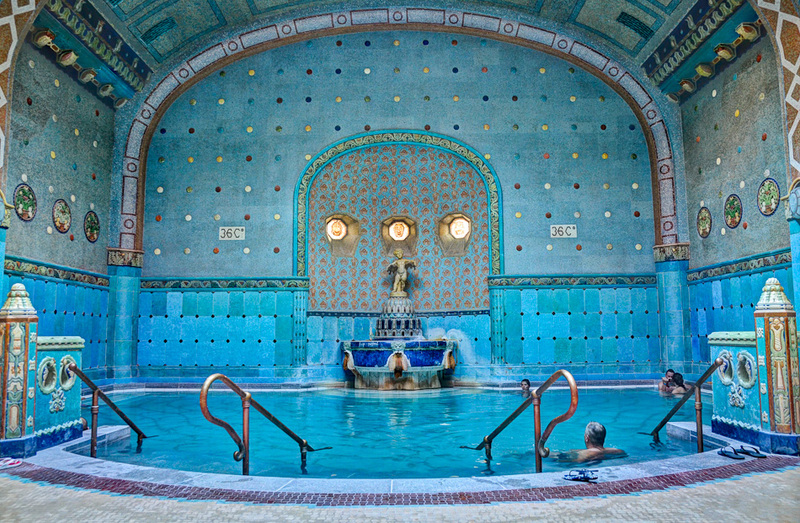 Wow, Gellert baths looks gorgeous – I’ll definitely be checking those out when I’m in Budapest for my second visit in September. You’re sooooo right that the food is heavy on the stomach – v tasty, though! I loved langos, which is super-calorific battered and deep-fried potato topped with sour cream and cheese. Yum. Ohhhh I’d love to try this in Madrid! Would love to take a Donkey bike for a spin in Austin! Lovely Budapest. A summer weekend on wheels is a real dream come true! 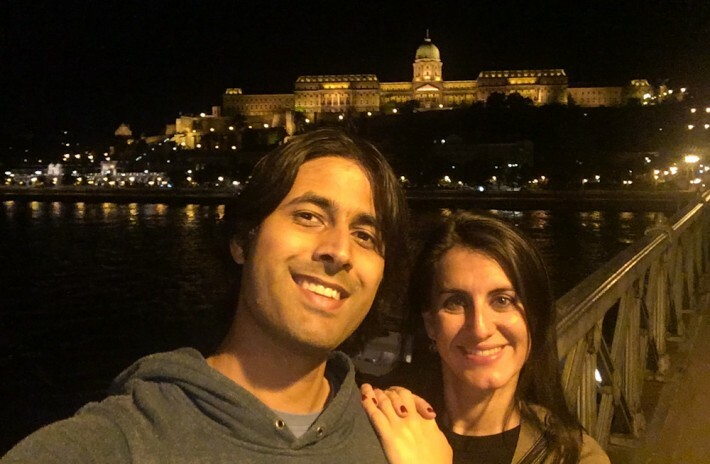 Being inter-racial couples, don’t you think that the atmosphere in Budapest was a bit hostile? I’ve been to Prague and they were some of the most racist people I’ve ever met. What kind of hostility did you face? We didn’t really experience anything overt. People calling you gypsy and staring at you (especially outside Prague), telling me to go back to Syria ( when I’m an Indian lol). I know someone who went to Hungary and had even the worst experience than I did. Wow that sounds pretty awful. What was the WORSE experience? 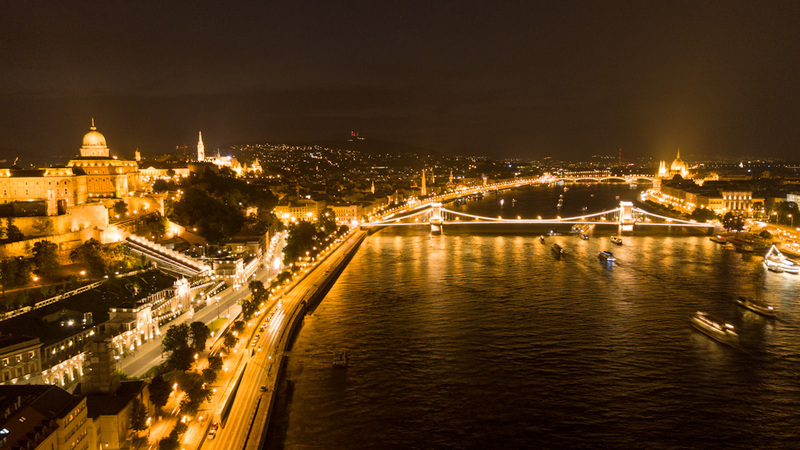 Explore the beauty of Budapest. Thanks a lot for sharing this post. Loved the pictures. I would like to ride a bike in Budapest too. İt must be enjoyable and no need to much money. So lots of places can be seen. It will be good experience. Thanks for the info. Also ı’m wondering about turkish baths. ı tried once in İstanbul and Fethiye. They were fabolous. But ofcourse I have to try one in Budapest. Guess its never too late. Hey Shubham.. it’s never too late indeed.